One has to take many things into account when insulating a house. No single construction is the same and there are many types of insulation. In this article, we will go through the different insulation types. They are divided according to their use, raw materials & ecological nature and their purpose. Do you want to know which insulation is suited for your project? An insulation expert can advise you and carry out the work. Click here to request free and noncommittal quotes. Insulation batts are way more flexible as compared to insulation boards. Insulating in case of an uneven surface will therefore be no problem. In addition, insulation sheets provide better acoustic insulation. Insulation batts are often used for the insulation of roofs. They are less suitable for floors as these insulation sheets are soft and hence not walkable. Glass wool and rock wool are types of mineral wool, which is a popular insulation material. 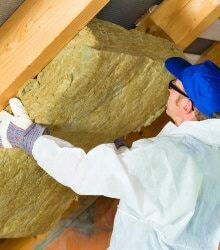 Read more about mineral wool here. Insulation boards are one of the most used and well-known forms of insulation. They have a high thermal insulation coefficient (U-value), as a result of which you can save thickness. It is a compressed material, which makes the boards resistant to pressure. Because of this, they are very suitable for floor insulation. Insulation boards are easy to install. Mostly, they are cut to size so the only thing left for you to do is put them in the right place. Read more about insulation boards here. Spray foam insulation or expanding foam is an easy and fast way of insulating. Cutting the right length, making sure the different components do connect well,… No need for that! You can get to work immediately. When using spray insulation, all holes and gaps are filled with a spray. Even the spaces that you cannot reach with any other insulation material are accessible. Small air gaps won’t stand a chance! 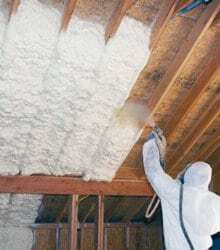 A common form of spray foam insulation is PUR spray insulation. Unlike insulation boards, pur spray insulation is directly sprayed onto the surface that has to be treated. It quickly and easily seals all corners and it connects seamlessly to pipes and irregularities. It is especially suitable for the insulation of floors such as attic floors, floors on ground level and intermediate floors. 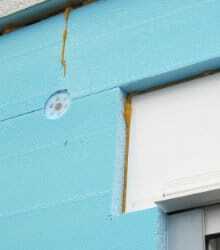 Read more on spray foam insulation here. Blown-in insulation is similar to spray insulation, although it is more environmentally friendly. Moreover, the possibilities here are not restricted to foam. It is actually possible to blow in glass wool or cellulose (flakes) as well. Blown-in insulation is, just like spray foam insulation, suitable for insulating hollow spaces and places that are difficult to reach. Think of cavity walls or attic floors. 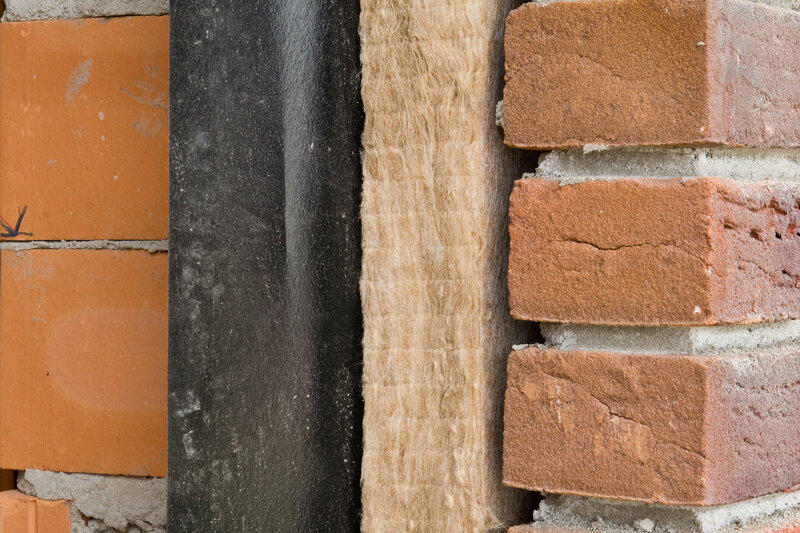 Thermal insulation involves a better heat control in your house. It makes sure, for example, that the heat of the central heating does not simply escape your home. The insulation ensures a pleasant temperature, not only on cold days but during summer as well. So, thermal insulation means less energy consumption and a cheaper energy bill. This is beneficial for both the environment and your wallet! By means of acoustic insulation, you can significantly reduce noise nuisance coming from inside or outside. Which sound insulation and technique you should apply depends on the building construction and the cause of the noise. Furthermore, there are a few different ways in which you can improve the acoustics. Read more about acoustic insulation here. In principle, the raw materials that are required for making inorganic insulation materials are present in nature. Moreover, they are fireproof and sustainable. On the downside: you need much energy in order for the material to melt. Examples of inorganic insulation materials are glass wool, rock wool and cellular glass. These are (partially) recyclable. As a result of this, they are less damaging to the environment than for example plastic insulation materials like XPS, PIR and PUR. Here you can find everything about inorganic insulation materials. 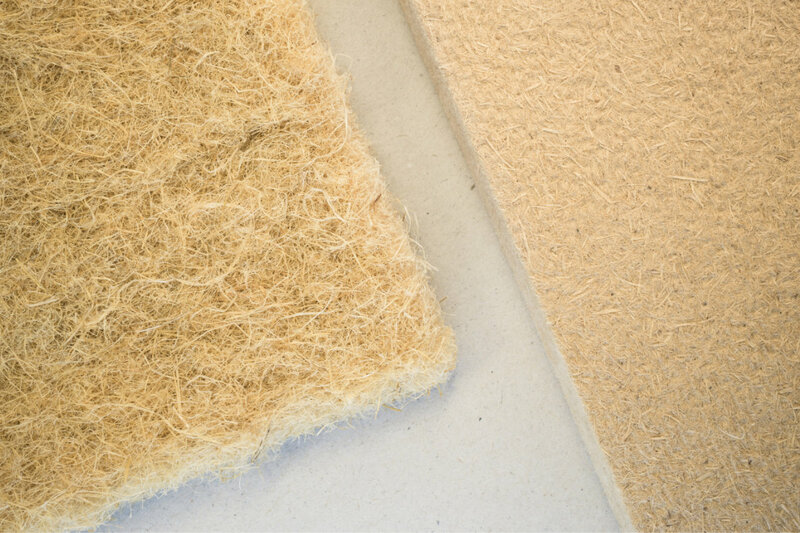 Unlike inorganic insulation materials, the production of ecological insulation materials demands less energy. Moreover, the required natural resources are sufficiently available. So no depletion of energy sources. 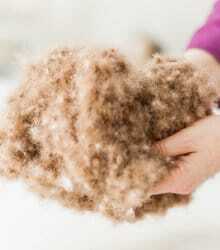 Examples of ecological insulation materials are cellulose flakes, sheep’s wool, wood wool, cork or hemp insulation. These are completely recyclable or compostable after their life span. Here you can find everything about ecological insulation materials. Receive obligation free quotes for insulation? Choose a recognized insulation specialist and ensure yourself of a correct placement. Fill in the form below to receive obligation free price proposals and advice from a maximum of 3 insulation experts active in your neighborhood.